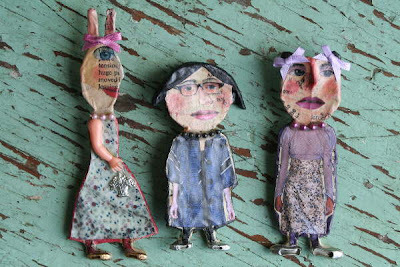 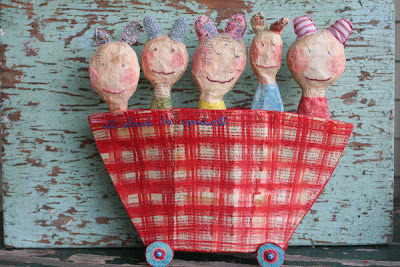 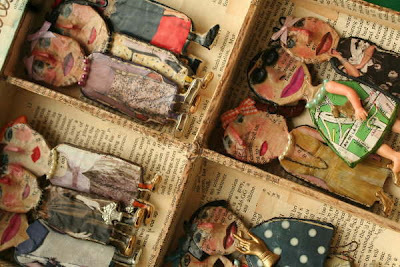 Julie Arkell is an English artist that works with papier-mache and mixed media. 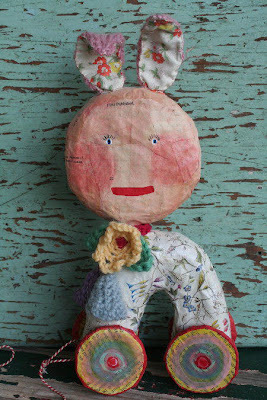 She creates this magical creatures and dolls. 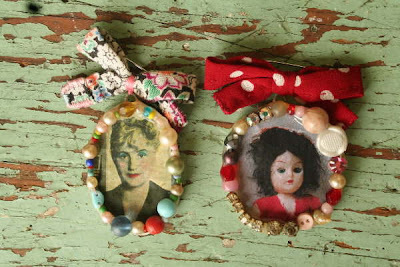 If you happen to live in London, you are lucky enough to catch her workshops at loop shop. 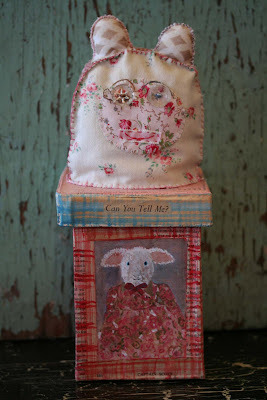 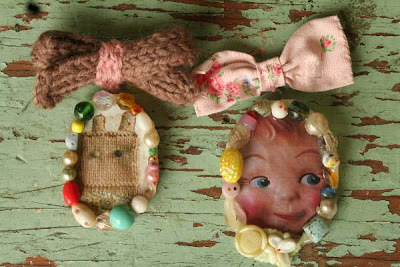 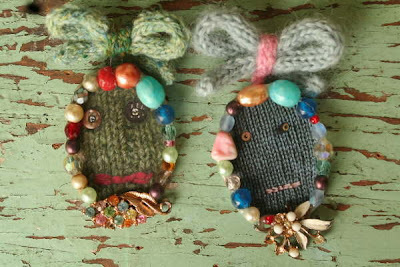 I admire her work very much, it has got that vintage, naive quality that I like so much and the use of everyday objects. 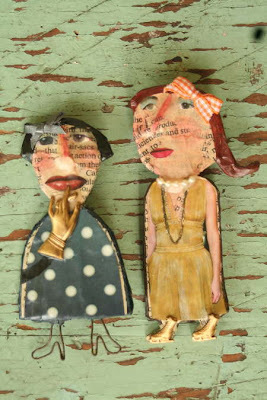 Very interesting, really fascinating and intruging stuff.